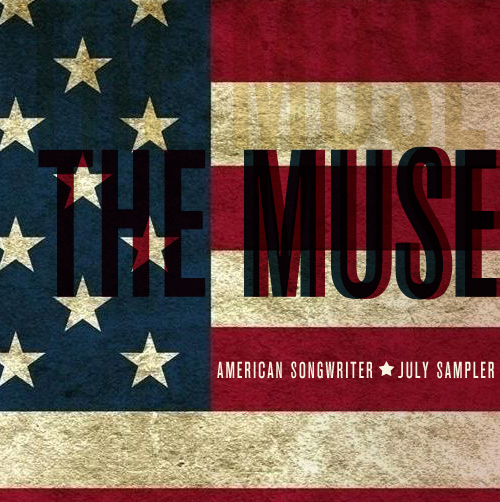 In conjunction with our July/August issue, American Songwriter proudly presents The Muse July Sampler, featuring 14 must-hear tracks from some of our favorite artists. And the best thing about it? It’s free! You can download the sampler by visiting http://americansongwriter1.bandcamp.com. Cary Ann Hearst and Michael Trent sing like old lovers, entwining their voices in close harmony one minute and shouting above one another in heated, twangy tones the next. Together, they make a rough-and-tumble kind of folk music, the kind of gorgeous, down-home stuff that Gillian Welch and David Rawlings might’ve done if they’d skipped music school and learned the ropes in roadhouses instead. Piling garage rock guitars and Stax-worthy horns into a petulant, pissed-off heap, the Diamond Rugs – an indie supergroup featuring members of Deer Tick, Los Lobos, The Black Lips, Dead Confederate, and Six Finger Satellite – attack an ex-girlfriend on this cut from their self-titled debut. A twenty-something Okie with the world-weary songwriting chops of someone twice his age, John Fullbright sings about cross-country travel and hard living on “Jericho,” a song steeped in Americana, country and Southern gospel. Come for the cathartic chorus; stay for Fullbright’s harmonica solo. Don’t let the pedal steel guitars fool you. “Sleepwalkin’” trades the furious, horse-hooved country-rock of Miller’s main project, Old 97’s, for smoother dynamics and slower tempos. In another world, this song would kick off the soundtrack to Quentin Tarantino’s next spaghetti western. Glen Hansard channels a familiar muse, Van Morrison, in this soulful cut from his first solo album. “Show yourself to me!” he commands during the song’s chorus, fed up with a hesitant lover who’s been hiding her feelings for too long. Bruce Springsteen’s anthemic shadow looms large over this slice of heartland rock and roll, which sounds like a contemporary update of the title track from Born To Run. Like a veteran poker player, Cory Branan plays it cool during every verse, waiting until the arrival of the chorus before throwing down a loaded hand filled with glockenspiel, brass, piano and electric guitar. “Deliver me from sin; give me rock and roll,” goes the chorus to this five-minute indie rock epic. Recorded during an extended vacation in Austin, “Someone Purer” finds the Mystery Jets boosting their British pop sound with brighter melodies and more dynamic guitars. Everything’s bigger in Texas. 22 year-old Schoepp clearly grew up rifling through his parents’ record collection, paying special attention to the artists who pioneered California’s country-rock sound during the 1970s. “So Long” sets those rootsy influences to a breezy, waltzing tempo, sweetening the deal with fiddle, smooth harmonies and tremolo guitar riffs. With their original lineup back together after a 30-year break, the dB’s celebrate their reunion as only the dB’s can: with jangled bursts of guitar, swells of organ, and power-pop hooks galore. This song, a cut from recently-released Falling Off The Sky, may deal with the passage of time … but honestly, it doesn’t sound like much time has passed. Influenced by a decade in which Buddy Holly reigned supreme and chocolate malts only cost a nickel, The District Attorneys get their doo-wop on with this nostalgic track about love on the rocks. The whole thing is anchored by thick harmonies, finger-snaps, and no more than four chords – the perfect recipe, in other words, for old-time rock and roll. Singing every note in a bedroom whisper, Canadian crooner Doug Paisley delivers this alt-country ballad softly and cautiously, as though he’s trying not to wake his sleeping girlfriend. Lee Hazlewood tries to win back a former lover on this psychedelic folk ballad. “Come On Home To Me” opens with a spoken word intro and ends with overlapping, hypnotic guitar lines. The stuff in the middle is pure Hazlewood, meaning it walks the fine line between elegance and kitsch without stumbling into either camp. Anchored by acoustic guitars and topped with the sort of effortless, entwined harmony vocals that only seem to come from siblings, “Strange Skies” is an indie-folk ballad for lazy summer mornings and empty country lanes. This British newcomer has already begun making waves overseas, where he won BBC’s Sound of 2012 poll and cracked the Top 10 with his debut album. Like the rest of that record, “Always Waiting” bridges the gap between Otis Redding and Cat Stevens with its acoustic, folk-soul sound.